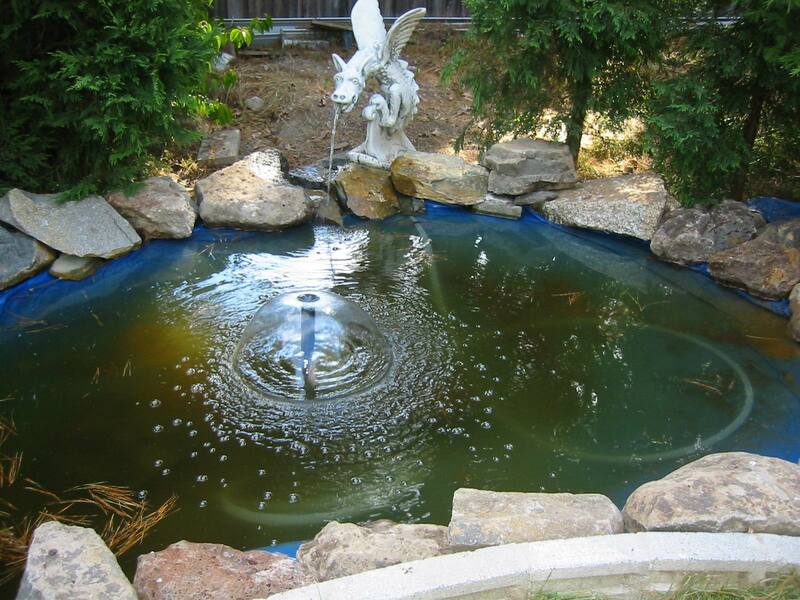 In March 2004 we finished the pond project. Lining had been put in place, rocks edging the water, and last but not least the dragon water feature that we had bought for our anniversary added the final touch. Once long ago, in a garden right outside my back door, the time was right. “Let’s have a pond,” I suggested, envisaging an adorable little water feature. 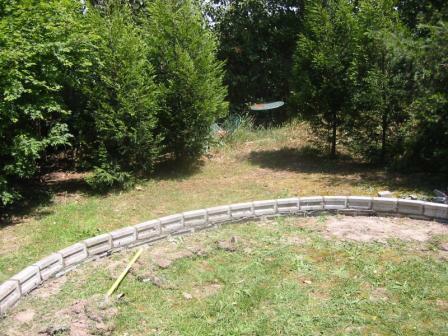 We decided on a place for the pond, in the middle tier just behind the recently completed brick garden edging. 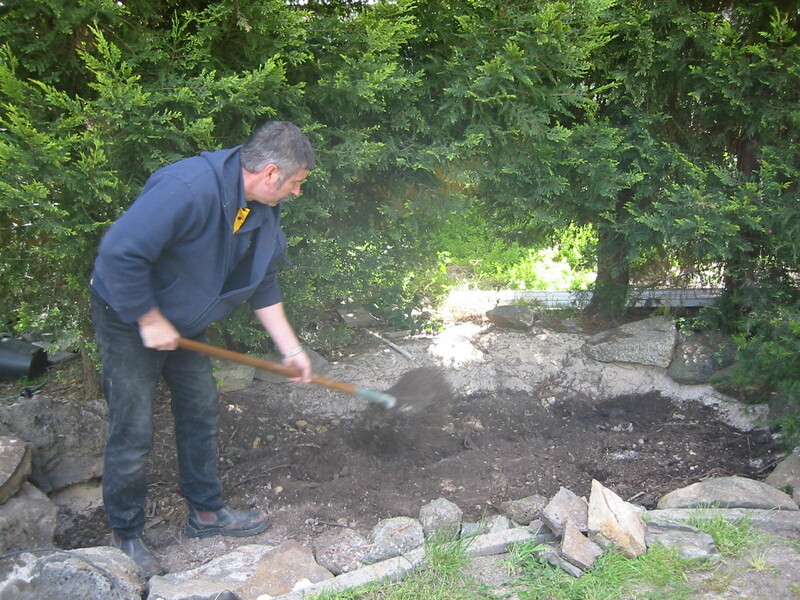 With a husband still reasonably keen and enthused on occasional garden projects, he set about digging said pond. Because we have a very large block of land for a suburban house, of almost one third of an acre, a tiny pond was not an option. 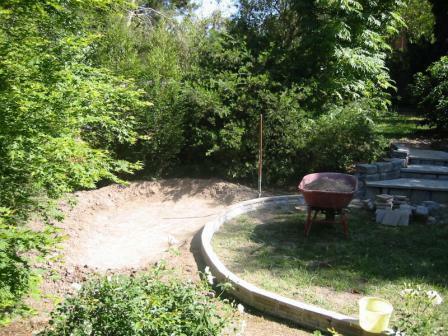 It didn’t look that big when he sketched an outline with the shovel. He has always been good at digging, and before we knew it, the pond had potential to become a veritable lake. Some years ago we decided a pond in the backyard would be a great idea. However, this pond ended up looking more like a lake. (My husband gets a little carried away once he starts digging). Unfortunately the following couple of years heralded droughts in Victoria, with many water restrictions necessary. With some sadness we came to the conclusion that the pond must be buried. It had a leak that meant it required constant topping-up of water, and in seasons of little or no rain it seemed very wasteful to try to keep it full, when that water could be better used sparingly elsewhere in the garden. There were already rocks around the edges so it lent itself to filling in with soil and then topping up with rocks. Time no longer need be spent cleaning and repairing filters. 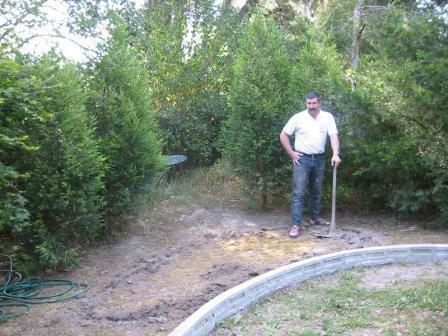 So it was that another stage in our garden was laid to rest.